Conveyor Loading Less than 3 kgs. 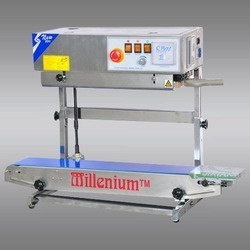 We offer CBS Series Continuous Sealing Machines which are easy to operate and use and which are durable as well as long lasting in nature. Clients from all over the world preferred using the products offered by us because they are of international standards and also available in the market at pocket-friendly prices. With years of experience in this domain, we are able to provide complete satisfaction to our esteemed clients by offering them a wide range of CBS Series Continuous Sealing Machines which are available in the market at economical prices. In order to meet the bulk demands of our customers, we use advanced techniques and machinery to deliver the best quality products to our clients. 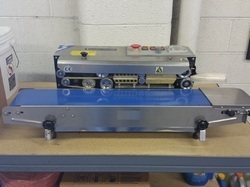 Looking for Continuous Sealing Machines ?